When they go out running a lot of people plug in their earphones ... it can be enjoyable running along to your favourite music while for others its about performance rather than experience ... running regardless ... cutting yourself off from the world around you - you might as well be on a treadmill in the gym or in some virtual reality simulation. I've never run with earphones - preferring instead to listen to the world around me as I run through it ... the animals and the people ... bird song, children playing, snippets of conversation and even the silence of a remote area on a hot still summers day. On some busy roads I wouldn't mind having earplugs let alone earphones although in such circumstances its important to listen .. to hear as well as see if a car is slowing down as you both approach a junction or to hear that car that comes up behind you to turn left across your path at the junction ahead. "The art of conversation lies in listening." Don't run regardless .. its important not only to listen to the world around you but to listen to yourself - listen to your mind and your body before, during and after a run and adjust according to what you "hear". That little niggle in your ankle .. should you skip the run until its gone or start off slowly and adjust or stop as you go along. How do you feel ... listen and adjust ... go further or more challenging if you are "up for it" or if feeling tired or not in the mood ... adjust ... run easier and see how it goes. Keep listening to yourself and keep adjusting - is it easier running more upright, or with shorter strides, feeling tired .. what happens if you put in a faster burst ... experiment, listen, adjust, listen. 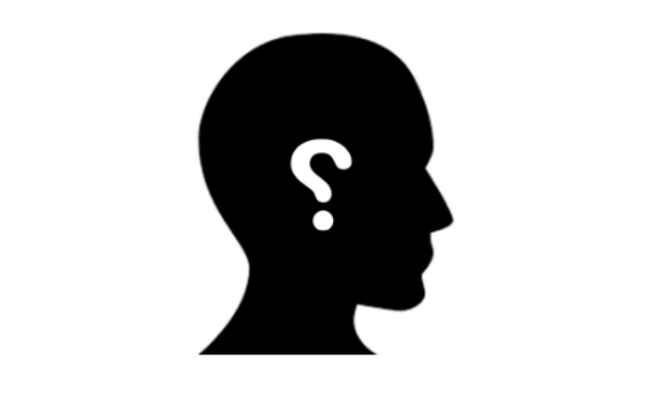 I can't help thinking that ears look a lot like question marks ... listen ... don't just hear ... listen to learn ..an active listener asks questions. Don't just live regardless ... stop, look, listen and learn - develop situational awareness - have a conversation with the people and the world around you and with yourself and adjust accordingly. "We have mouths that close and ears that don't, that must tell us something"